Today I’d like to cover clean eating oils and talk about which ones you might want to consider having in your clean eating meal plan, and which ones you might want to consider avoiding all together. The truth is, with just one google search, you can get about 50 different articles that completely contradict each other on the qualities of any given oil. But there are some that stand out among the crowd as being very healthy. So in this post, I’ll give the oils I use and also which ones I avoid like the plague. Coconut oil. 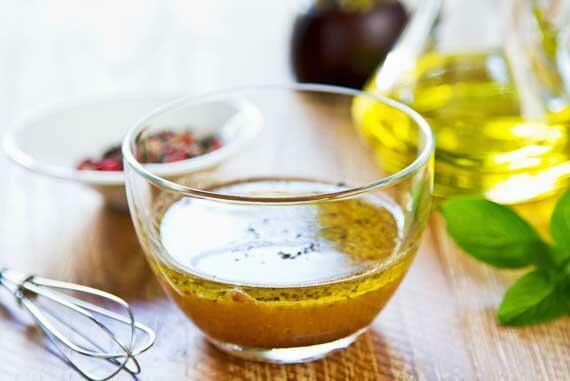 This oil gets a bad wrap because people wrongly assume it is unhealthy due to it’s saturated fat content. Some people also believe that coconut oil is a trans fat oil. Nothing could be further from the truth. Good quality, organic, virgin coconut oil is fantastic stuff and has a higher smoke point, so it’s great for cooking. It’s now being attributed with many healing properties, so it’s worth a try. And no, it won’t make your food taste like coconut. I think I noticed a slight coconut flavor the very first time I used it in my eggs. But after that, nothing. No coconut taste. Now I use it in everything. (Please note, I’m NOT referring to the highly processed palm oil found in many packaged junk foods) This oil is also becoming more and more widely available, which means that the price is becoming a bit more affordable. Some stores still charge shocking prices for this, but in other stores, such as Trader Joe’s, you can get a 16 oz. jar for around $5. Avocado Oil. I love this oil for it’s wonderful flavor. I always use it in cold dishes and dressings but it has high smoke point, so it’s great for cooking as well. That said, it can be a little pricey for the good quality stuff. Almond oil. This oil is great for cooking as well, but with our declining bee population, almond trees are not being pollinated so our crops are much smaller. That makes almond oil one to keep an eye on in the price department. Extra Virgin Olive Oil. There is a lot of controversy around this oil because some bigger manufacturers cut their olive oil with other, not-so-healthy oils. There are various tests you can google to see if your oil is the real stuff. But providing you have honest-to-goodness EVOO, you’re in good shape for things like salad dressings and dips. I’ve learned more recently that olive oil is not well suited for cooking as it has a lower smoke point. We all avoid things for personal reasons and those reasons are as different as people and lifestyles are. But some oils are just best left alone. Here are the ones I make it a point to avoid. Hydrogenated Oil. These oils are found in packaged goods. Avoid them like the plague. My brother is in a college health class right now, and his teacher is all about canola oil being the healthiest and says coconut oil is just a fad right now. I want to know your thought on this. I used coconut oil for the first time while making a clean version of fried rice and veggies. It really changed the flavor of my food… I did not enjoy it. I thought it tasted coconutty… I only used enough to coat the pan. Are there suggestions for certain recipes to use it in where the taste wouldn’t be as noticeable? Thanks! Meg Juck – The first time you try it, it can be a little off-putting. But I found that after using it a few times, I stopped tasting it all together. But if it really bothers you, then it’s best used in baking. I usually use coconut or grapeseed oil for baking and cooking. Do you know anything about grapeseed oil. I remember reading that it was less refined… and has a high smoke point,..
Great post! I used coconut oil in my food and it has no flavour (make sure its organic and cold pressed). I fry with olive oil which is a mix of pomace oils and is not extra virgin, although my mum fries eggs in extra virgin olive oil and it tastes fine to me. Can we use coconut oil to replace butter in cake recipes? Arfa – As far as I know, it should work just fine as a sub for butter. But if you purchase organic, grass-fed sourced butter, that’s perfectly clean as well. Great post! I love using coconut oil, but I’m also guilty of using vegetable oil very frequently. I’ll have to consider switching solely to coconut. Kate – It’s worth the switch!! I used coconut oil and love the taste even right off the spoon….grin. I add it to my oatmeal in the morning. I like the organic extra-virgin coconut oil. Never tried any other brands so don’t know how they would be. Diane – The oil will easily harden. Were the eggs cold out of the fridge or at room temp? It can make a difference. But I do remember lumps in mine as well. As long as they turned out okay, I wouldn’t worry too much. Amanda – I’ve read varying opinions on it which is why I tend to avoid it. Some people say it’s excellent stuff, other say it’s not. It’s hard to know for sure. But I think if you are going to use it, you want to look for the pure, unrefined version. That’s usually a safe bet with many oils. Sara – I haven’t researched it, but I believe it’s a cold-dish oil. It also goes rancid very quickly, so it’s best to buy it in small amounts. Chelsea – If it’s unrefined sunflower oil, it’s fine. Sunflower has a lower smoke point, so it’s not great for cooking. But it should be just fine over pop corn. Enjoy! Hi, Tiffany. What brand of coconut oil do you use? I had been using the Louana brand from Walmart but switched to an organic, virgin coconut oil and it tastes and smells VERY strongly of coconut. Now, while I love coconut, I’m not too keen on all my dishes tasting like it and find that I prefer the taste of the lower quality product. Is this normal for high quality oil? Rachel – It’s hard for me to say as I’ve only ever used one brand from Trader Joe’s. I find them to have the best price. Are you sure you got coconut oil and not coconut butter? When I was working in a kitchen we worked with grape seed oil. It has a higher smoke point then olive oil, but is similar in color, taste, and consistency. Is it a clean oil! Ali – If it is unprocessed, then it’s definitely clean! I think people often get it confused with rapeseed oil. Two very different animals. What about sesame oil? I’ve used it for chicken and veggies and the taste is splendid! Just wanted to make sure it’s clean. Stacy – If it’s unprocessed oil, then it should be fine. Most will state they are unprocessed right on the bottle.